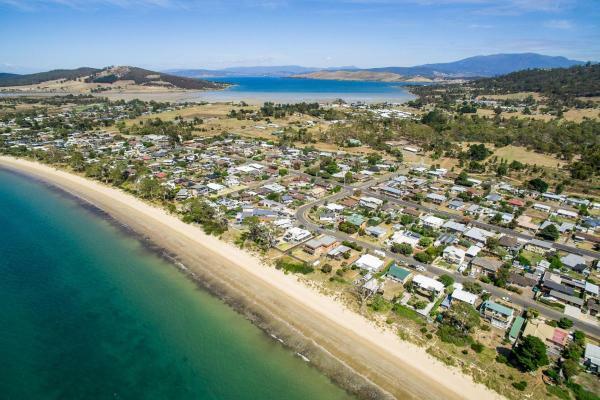 On this page you can consult informations about distances and roadmaps from Hobart Airport to major cities and places in Australia. 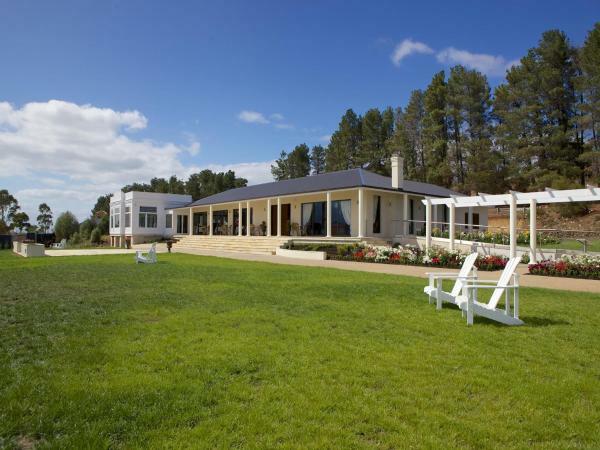 Situated in Richmond in the Tasmania Region, 17 km from Hobart, Every Man and His Dog Vineyard features a sun terrace and views of the garden. Free WiFi is offered and free private parking is available on site. This hotel is 12.55 km from city center. 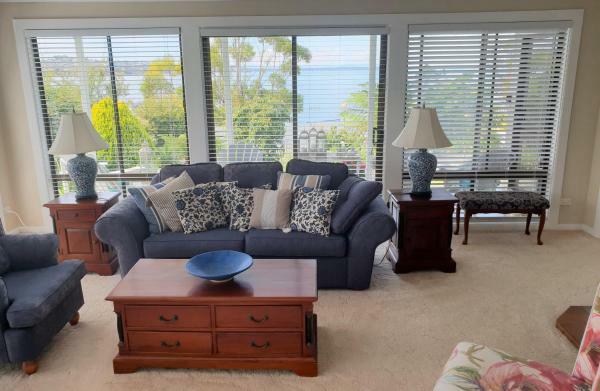 Oceana B&B is offering luxury accommodation in sunny Howrah, the gateway to the Tasman Peninsula, Eaglehawk Neck and historic Port Arthur. The centre of Hobart is 14 km from the property. Guests can enjoy majestic mountain and river views. This hotel is 10.44 km from city center. Featuring free bikes and a tennis court, Prospect House Hotel is situated in Richmond. Boasting a 24-hour front desk, this property also welcomes guests with a restaurant and a terrace. Free WiFi and a concierge service are available. This hotel is 12.85 km from city center. Located in Richmond, Daisy Bank Cottages offers accommodation with a seating area and TV. Complimentary WiFi is available. There is a private bathroom with bath in all units, along with free toiletries and a hair dryer. This hotel is 12.95 km from city center. 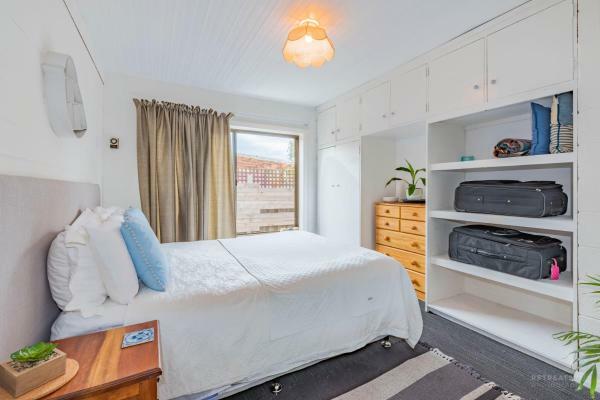 Offering a barbecue and views of the sea, Cornwall Cottage is a self-contained 2 bedroom cottage, located in Cambridge, 15 km from Hobart CBD, 10 km from Richmond and 8 km from Hobart Airport. Free WiFi and private parking is available on site. This hotel is 6.53 km from city center. 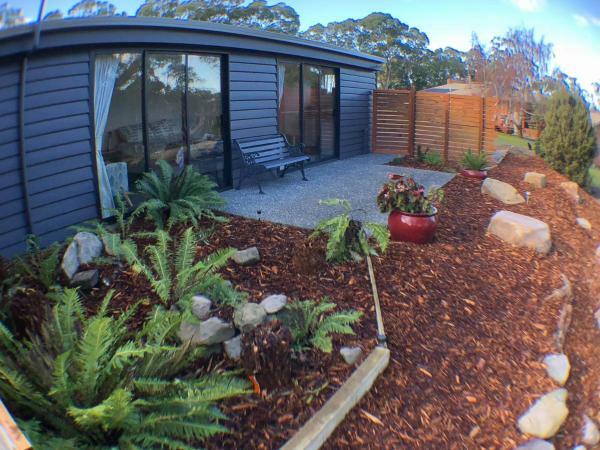 Red Brier Cottage Accommodation is located in the centre of Richmond, a 20-minute drive from Hobart. It offers cosy accommodation within a large garden, and offers free parking on site. This hotel is 12.66 km from city center. Located just a 5-minute walk from the historic Richmond Bridge, Richmond Coachmans Rest offers self-catering accommodation with a private courtyard and outdoor seating. The heated studios and apartment come with modern decor. This hotel is 12.59 km from city center. The Old Coach House 6 Henry Street is located in Richmond. The accommodation is 26 km from Hobart. Margate is 45 km from the apartment, while Kingston is 38 km from the property. This hotel is 12.52 km from city center. 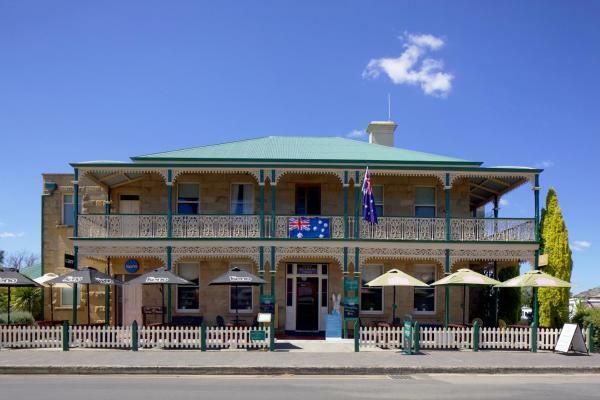 The Richmond Arms Hotel is located right in the heart of the historic Richmond Village, just a 25-minute drive from Hobart. 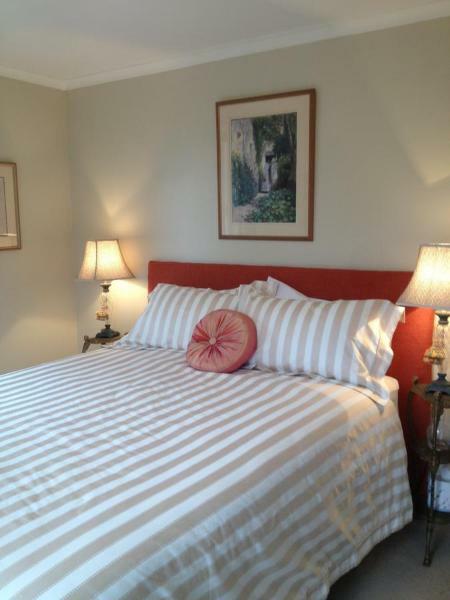 Guests can enjoy modern units that were originally built in 1827 by the convicts. This hotel is 12.64 km from city center. Set amongst rows of vines and olive groves, Riversdale Estate offers self-contained cottages with views of the water and surrounding countryside. Hobart Airport is only a 10-minute drive away. This hotel is 6.78 km from city center. Mount Rumney Escapes is located in Mount Rumney and offers barbecue facilities. The accommodation is 14 km from Hobart. 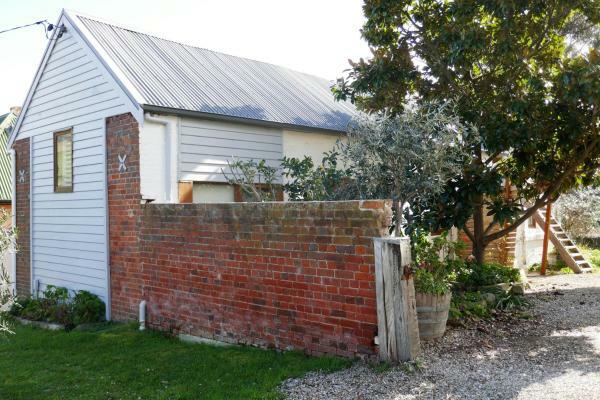 The farm stay includes 2 bedrooms and a kitchen with an oven and a microwave. A flat-screen TV is featured. This hotel is 5.05 km from city center. Located in Acton Park, REBS [email protected] features accommodation with free WiFi. All units feature a private bathroom and have air conditioning, a flat-screen TV and a microwave. A toaster and kettle are also available. This hotel is 5.45 km from city center. 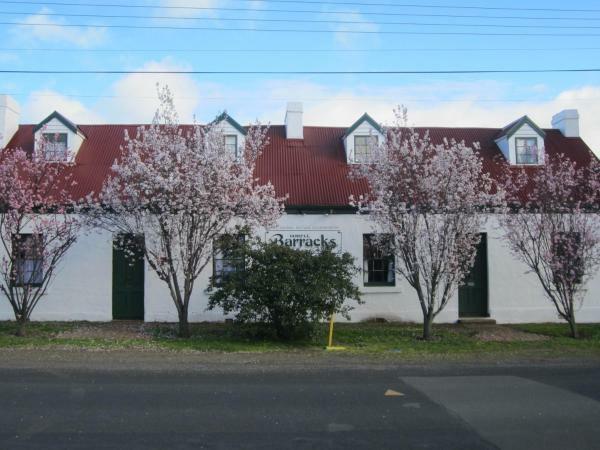 Foreshore Motel & Tavern Hobart (Lauderdale) is situated in Lauderdale, on Hobart's picturesque Eastern Shore. 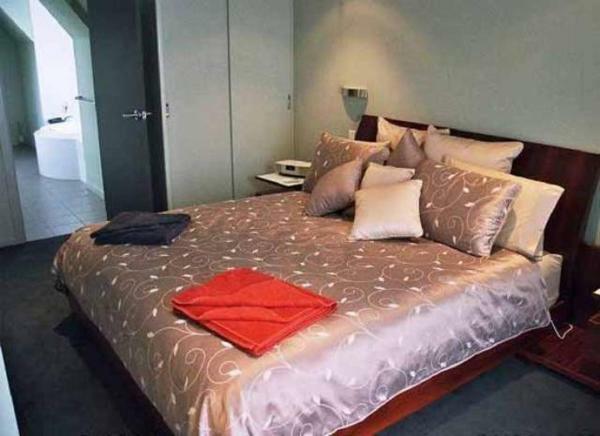 It is within 20 minutes' drive of both Hobart Airport and Hobart CBD (Central Business District). This hotel is 8.29 km from city center. Featuring air-conditioned accommodation with a private pool, pool view and a patio, Acton Park Holidays Units is set in Acton Park. This apartment features a garden, barbecue facilities and free WiFi. This hotel is 4.93 km from city center. Situated next to Hobart International Airport, Travelodge Hobart Airport offers sound-proofed rooms and suites only 15 minutes’ by car from Hobart CBD (Central Business District). This hotel is 1.62 km from city center. 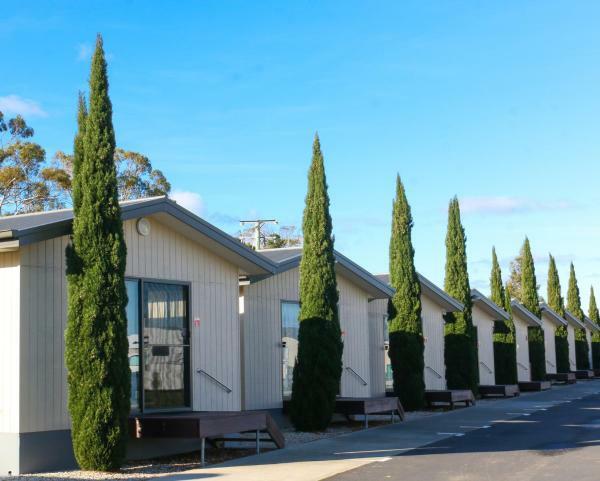 Just 4 minutes’ drive from Hobart International Airport, Hobart Airport Tourist Park features self-contained accommodation with a private balcony. This hotel is 1.51 km from city center. Aqua Beachfront! is set in Lauderdale and offers a garden, a terrace and a shared lounge. Guests staying at this holiday home have access to a balcony. The holiday home includes 3 bedrooms and a kitchen with an oven and a kettle. This hotel is 7.71 km from city center. Beach Beauty is located in Lauderdale and offers barbecue facilities and a garden. 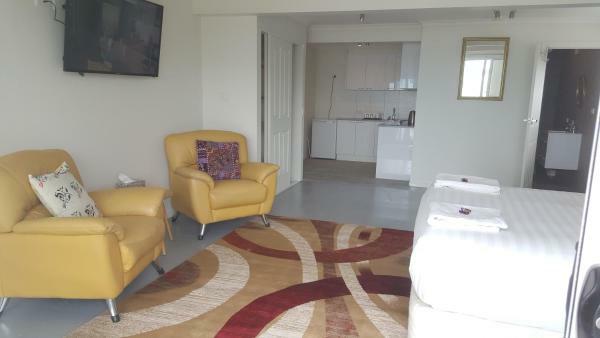 This apartment provides air-conditioned accommodation with free WiFi. The apartment has 1 bedroom and a fully fitted kitchenette with a microwave. This hotel is 7.38 km from city center. Offering free WiFi and a seasonal outdoor pool, Bambra Reef Lodge is situated in Sandford. Hobart is 14 km away. Free private parking is available on site. 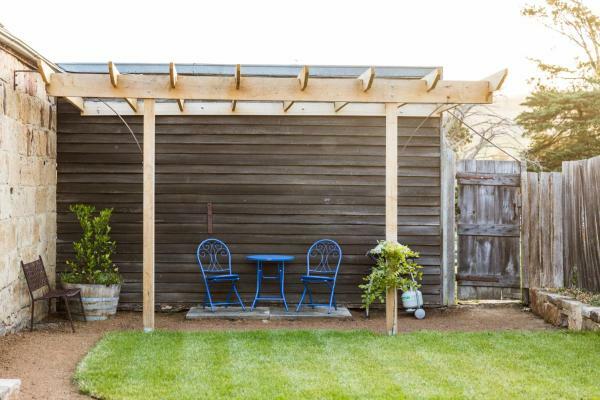 Featuring a patio, the accommodation features a seating area with and CD player. This hotel is 6.50 km from city center. 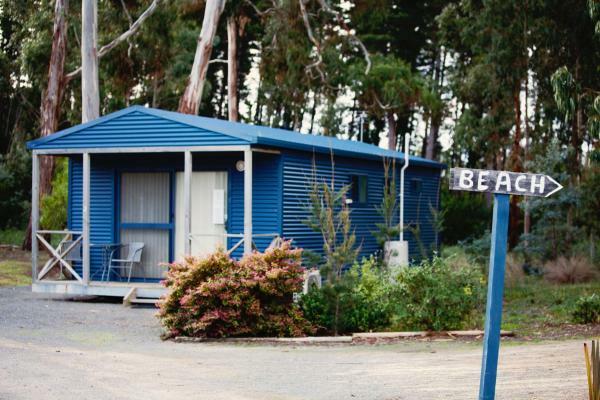 Offering free WiFi and free onsite parking, Seven Mile Beach Cabin and Caravan Park is located in Hobart. The property is 5 minutes' walk from Seven Mile Beach. This hotel is 2.03 km from city center. Garden by the Beach - Gateway to the East Coast, Close to Airport is located in Penna. 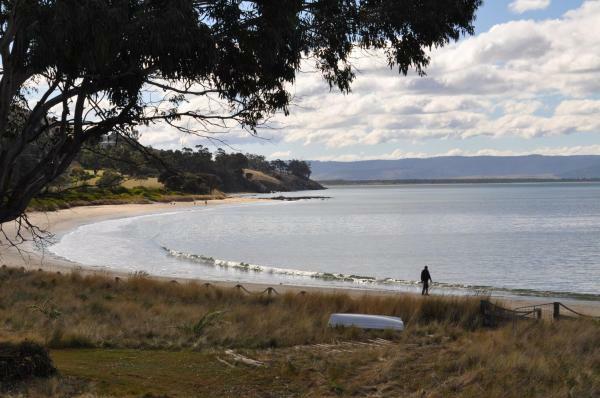 The accommodation is 26 km from Hobart. Margate is 45 km from the holiday home, while Richmond is 12 km away. This hotel is 5.75 km from city center. Featuring an outdoor swimming pool and a tennis court, Ramada Resort by Wyndham Seven Mile Beach offers a peaceful retreat just 5 minutes’ walk from the beachfront. It features an on-site restaurant and a fitness centre. This hotel is 1.94 km from city center. Providing sea views, AppleBay Guest house in Richmond offers accommodation, a private beach area, barbecue facilities and a garden. Free WiFi is offered. All the air-conditioned units feature a kitchenette with a microwave, a toaster and dining... This hotel is 3.96 km from city center. 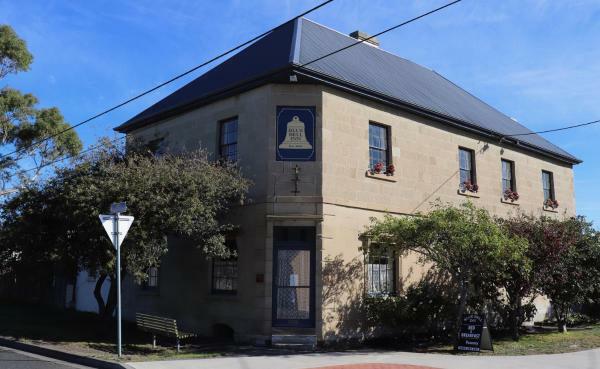 Blue Bell Inn is located in Sorell, just a 25-minute drive from Hobart and 1 hour's drive from Port Arthur. Free private parking is available on site. Some rooms have a private bathroom with a spa bath. All rooms have free toiletries and a... This hotel is 7.07 km from city center. 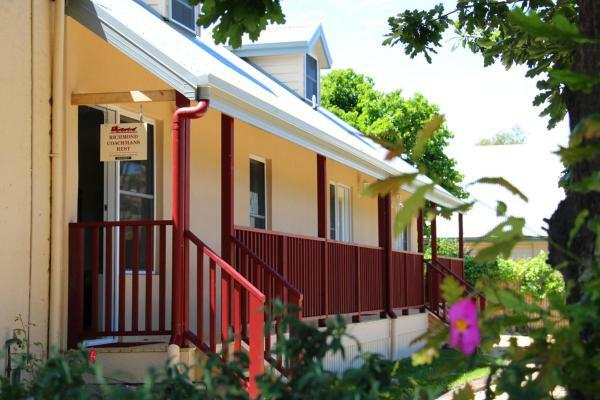 Sorell Barracks offers accommodation with a garden and free WiFi, and is located in Sorell. The units all have a seating area, a flat-screen TV, DVD player, a fully equipped kitchenette and a private bathroom with free toiletries and a hair dryer. This hotel is 7.02 km from city center.